This installation is an open invitation to skeptics. The materials are literally rubbish. There is no apparent order to the display. If this work was collected up and put in a skip we would walk past without a second glance. So Takahashi’s work can seem a byword for mischief. 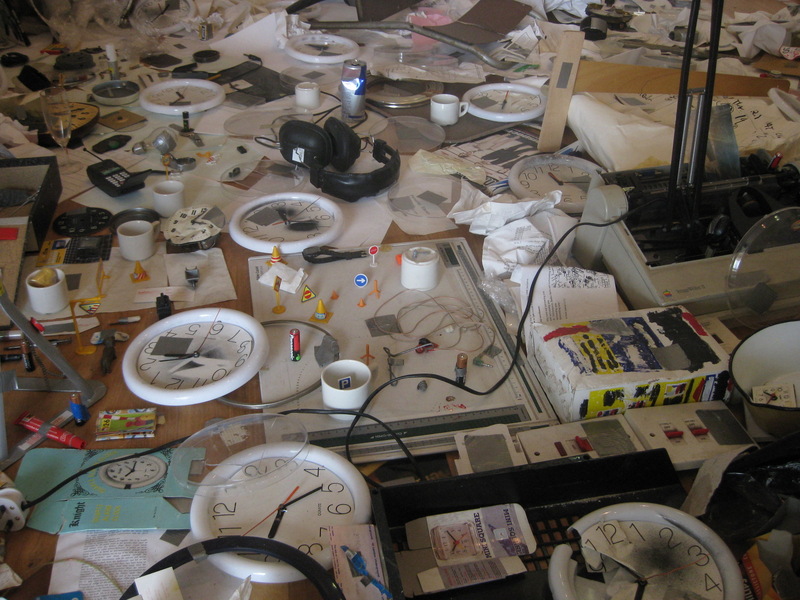 She takes the world’s least valuable things, waste paper, damaged clocks, unwanted tools, and turns them into ingredients of the world’s most valuable commodity, art. But she works at it. We know the items have been selected with care because recurring themes emerge. Care has also been taken to spread them around in a balanced way. Some objects are fixed together or stood on end and the scene is not as chaotic as it first appears. It has aesthetic appeal. Takahashi snatches victory from the jaws of defeat, or art from the realms of oblivion. We need a way to deal with rubbish, on an emotional level. Clockwork suggests we can indeed process it, along with death, decay and disorder. It should give rise to courage, not skepticism. Why not read what other people had to say about Tamoko Takahashi? Here is a good profile of the artist by Andrew Graham-Dixon. Here is an intelligent review of a show from 1998 in Frieze. And here is a scathing attack on her 2005 show at Serpentine by Jonathan Jones in the Guardian. 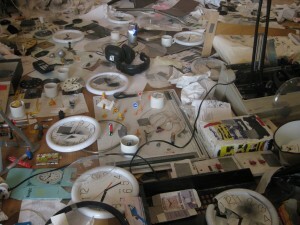 Introspective Retrospective by Tomoko Takahashi is at De La Warr Pavilion until 12 September.